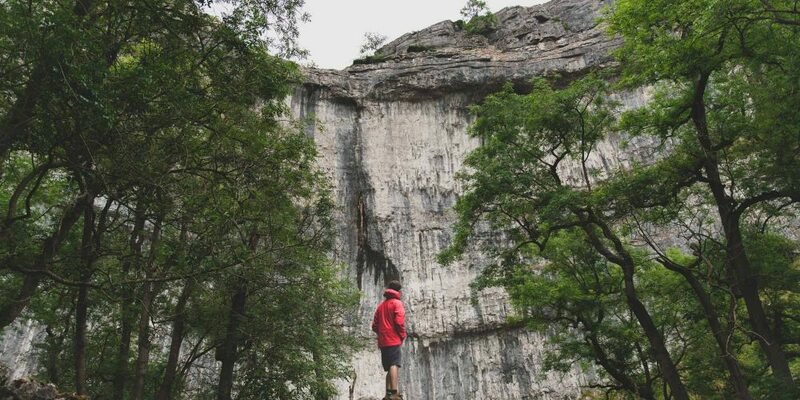 This eight-day itinerary explores the striking limestone landscapes of Malham in the Yorkshire Dales before climbing the backbone of England on Penyghent and Great Shunner Fell. From the highest pub in England at Tan Hill stroll through ancient haymeadows before a day of spectacular waterfalls along the River Tees. The precursor to a dramatic finale as the moorland path suddenly opens out on the breath-taking High Cup Nick where the Lakeland Fells are clearly visible across the Eden Valley. Descend this steep-sided glacial canyon and finish in the historic market town of Appleby in Westmorland. Completing the entire 435km/268 mile length of the Pennine Way is a major challenge. For committed and adventurous hikers, it’s an iconic journey that will require a minimum of 16 hard days on the trail. So we’ve put together a condensed itinerary which takes in many of the highlights in a 120 km/74-mile route that can be comfortably managed in a week. Make no mistake, this is still a demanding expedition that requires fitness and determination to complete, but the rewards are some of the most spectacular views and stunning landscapes the Great North of England has to offer. 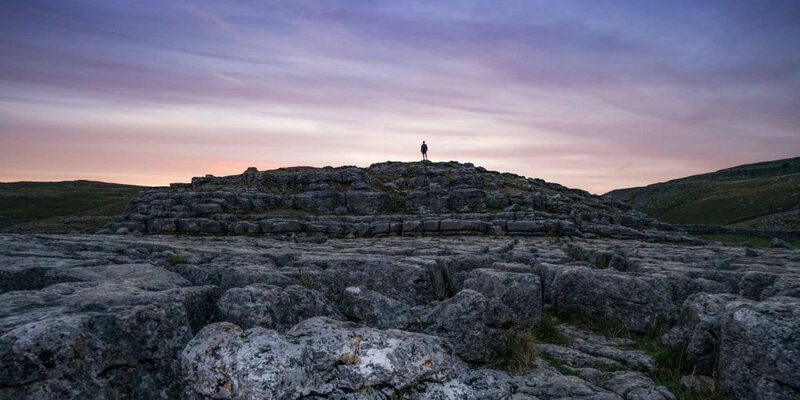 Starting in the lively market town of Skipton, our ‘highlights’ itinerary threads its way through the Yorkshire Dales and visits the limestone landscapes of Malham Cove, summits one of the famous Yorkshire Three Peaks and stops over for an unforgettable night at Britain’s highest pub. The route continues over the lonely moorlands on Yorkshire’s wild border with County Durham, before descending into the Tees Valley, where it follows the river past a series of thundering waterfalls, before climbing to a stunning finale on the edge of a breath-taking canyon high above the Eden Valley. 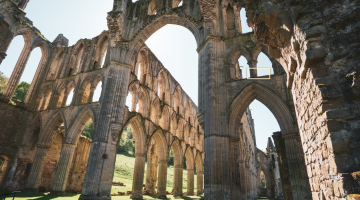 This itinerary is offered by Yorkshire-based Large Outdoors, which specialises in organising Outdoor Adventure weekend tours and holidays with a focus on accessible, social walking. Large Outdoors can book every aspect of this itinerary for guests or just simply supply information packs and navigational information. All trips include maps and their own route guide along with a support telephone number. Large Outdoors can also take care of: luggage transfer, restaurant reservations, transfers, and travel. This itinerary breaks down the 8-day journey into daily sections of between 7 and 27km/4.5 and 17 miles. The shorter days allow for transfers in and out on the first and last days. Owing to the nature of the terrain and limited accommodation en route, only minimal options for flexing the itinerary exist – although back-packers will benefit from a little more flexibility. Your first day on the Pennine Way proper leads north, past tranquil Malham Tarn and over Fountains Fell into Three Peaks Country – named after the trio of 2000ft/610m mountains that dominate this landscape: Ingleborough, Whernside, and Pen-y-ghent (Mountain of the Winds). 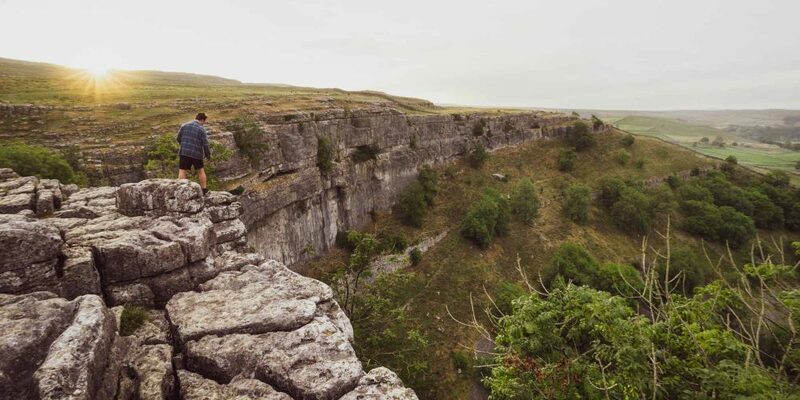 Scale the rugged southern face of Pen-y-gent before descending into the pretty Yorkshire Dales village of Horton-in-Ribblesdale. Stay at a pub or B&B in Horton. Leaving Hawes, stop off at the powerful cascade of Hardraw Force before continuing north on the sustained climb to the summit of Great Shunner Fell. A stunning panorama stretching for 40 miles in each direction rewards your efforts before descending into the gentler, flower-filled pastures of Swaledale and the achingly pretty villages of Thwaite and Keld. Admire the geometric patterns inscribed on the landscape by the dry-stone walls before climbing again to reach the sanctuary of Britain’s highest pub: the Tan Hill Inn – for the definitive Pennine Way pub experience. 25.7km/16 miles. The longest day on the trail crosses the boundary into Durham County and traverses lonely moorland and secret valleys, where the wildflowers are stunning in late spring. 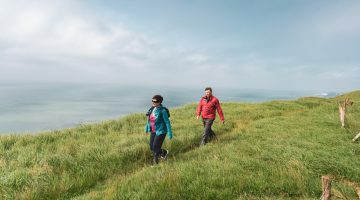 This is the most remote section of the trail and you’ll only have the upland birds and grazing cattle for company while distant echoes of Roman Legions and Bronze Age burials are carried away on the breeze into the rustling cotton grass. The descent into Middleton is one of the scenic highlights of the walk. 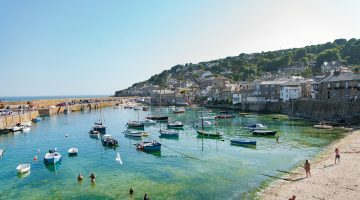 You’ll be ready for a pint at one of this handsome town’s many inns. 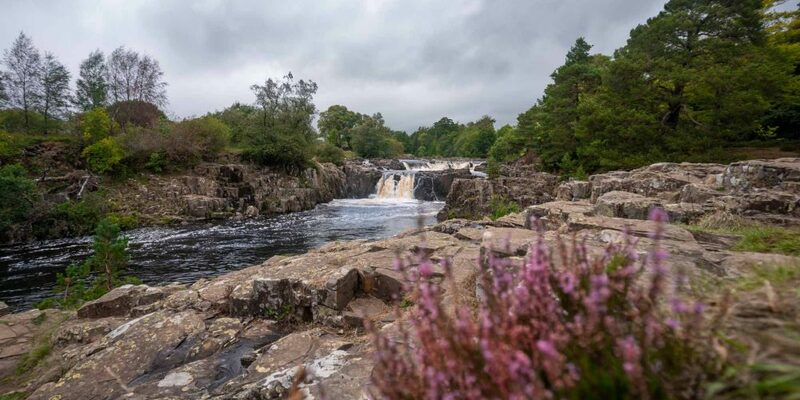 Follow the river beneath brooding crags upstream to the thundering waterfalls that punctuate the Upper Tees Valley. Revel in the wildflowers that carpet your route in this largely undiscovered Area of Outstanding Natural Beauty and marvel at the mighty torrents of Low Force and High Force, where the Tees tumbles over the Whin Sill – the fault line where iron-hard volcanic dolerite meets softer sedimentary rocks for a spectacular effect. Detour for coffee and cake at the informative Bowlees Visitor Center and stay at the Langdon Beck Hotel – another quirky country inn. Accommodation on this section of the Pennine Way can vary from welcoming village inns like the Lister Arms at Malham to remote yet lively upland pubs such as the iconic Tan Hill Inn – the highest pub in Britain (1732ft/528m above sea level). If the snow starts to fall, your stay may be longer than anticipated…! Flights into Leeds Airport followed by train to Skipton then 210 bus to Malham to join the trail. Return train to Leeds on the scenic Settle-Carlisle railway then transfer to airport. From Manchester and Newcastle airports, the train journey is circa three hours. Train from London to Skipton: three hours. Car Ferry to Hull from Rotterdam then two-hour (130km) drive to Skipton. Return direct to Skipton via rail on Settle-Carlisle Railway. Pick up your car and return to Hull for ferry. They take beer very seriously in these parts and walkers will find a bewildering range of local beers to slake their thirst, ranging from light refreshing pale or golden ales like Kirkby Lonsdale Brewery’s Pennine Ambler – official beer of the Pennine Way – to dark and complex brews like Wensleydale Brewery’s Black Dub that are often strong in alcohol. The best food options can be found in the pubs and inns, where hearty pies, warming stews, and local lamb feature heavily on the menu.